← What Makes Your Modular Building Anti-Vandal? Mobile classrooms are quickly becoming an alternative to other traditional on-site built education buildings. Some may say they are no longer temporary solutions, and are becoming more permanent. With the number of challenges that school environments face, including space, construction interruption, costs and more, modular buildings are a way to create the much-needed space, quickly, conveniently, and affordably. So, what are some of the main benefits of modular classrooms? 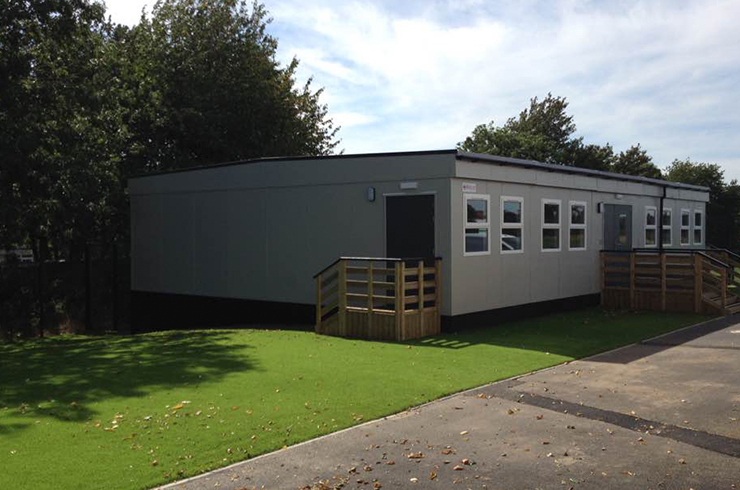 Modular classrooms offer flexibility to any school which needs additional space. Much of the time they are referred to as portable classrooms, because, as the name states, they can be moved around. This means that they can be delivered for temporary use and removed when no longer needed. It also means that it can be moved around the school’s grounds itself. For many schools, a growing student body is an issue which needs an efficient solution. When you use portable modular buildings for classrooms, the construction time takes more than half the time it takes to build a conventional structure. Depending on how soon you need the structure, a modular building is the ideal option for quick turnaround time. A modular building can be built and delivered in as little as 12 weeks. A modular classroom can be a financially easier option for space solutions. Depending on the amount of customisation you require for the classroom, it can be extremely cost effective. Another way of cost cutting is to use a used modular classroom as an alternative to a brand-new unit. Modular classrooms are built to withstand any wear and tear involved in transportation, so can not only be a portable, quick option but a cost effective one in terms of repairs and maintenance. When opting for a modular classroom, keep in mind that the building can in fact be designed to fit into the requirements and specific needs of the school. Many suppliers, such as Excel Modular offer turn-key classrooms which means they can build, deliver, and finish the building. Modifications can be designed to provide the necessary space for a school which requires expansion. If the eventual purpose of the building is to be permanent, then the exterior can be altered with added features such as brick slip, cedar or kingspan wall cladding to match the aesthetic of the rest of the school. They can also include HVAC systems, entrance ramps, steps & entrance canopies, the list of options is endless. At Excel Modular, our modular classrooms are incredibly energy efficient and extremely environmentally friendly, perfect for any education environment – from pre-schools and nurseries to assembly halls, changing rooms and even as kitchens. We will undertake a free obligation site survey by an expert member of our team before we carry out any other work. Not only will you receive a top-quality mobile classroom or temporary classroom, but we will also offer you a Turn Key package, which can save you time and money. Want to know more about this? Simply get in touch today.